One of the reasons we must stay in community as Christians can be illustrated by my inner journey of the last hours. 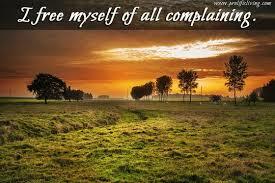 Zakaria posted an article about the sin of complaining. It opened me to Paraclete. While many of the Psalms record the writer’s complaint to God that evildoers prosper and those who do right have no reward, the poems end with praise to God based on trust in Creator. In practical terms those who opposed me did take away ministry, as a pastor, as a columnist and as a mentor. Along with that lies prevailed about me that lazy believers accepted. I was excluded by refusing to inform me of meetings which I was lawfully eligible to attend, literally ordered not to come on congregational property and prohibited by religious fiat from gathering with my spiritual companions. The result was that the Evil One appeared victorious and evil’s agents looked like religious heroes. But if I look at it another way, I live more closely to Jesus now than before those years of prosecution. I minister in new ways, though certainly less publicly. I was cut off from religion, but “nothing can ever separate us from God’s love which Christ Jesus our Lord shows us” (Romans 8:38 God’s Word©) . So while I still complained about the loss of my good reputation, ministry and those who betrayed me I blinded myself to good that God made of it. “Joseph said to them, “Don’t be afraid! I can’t take God’s place. Even though you planned evil against me, God planned good to come out of it” (Genesis 50:19-20 God’s Word©). I came out of the prosecution battered, bruised and longing to return to what would be my Egypt and slavery, where I served religion, even if not intentionally, instead of Jesus alone. Life in the Promised Land is radically different from slavery in Egypt. “Although they scheme and plan evil against you, they will not succeed” (Psalm 21:11 God’s Word©). So simple I was missing it. 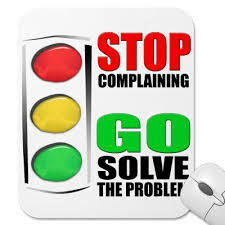 God’s good trumps our convenience, and when we let God’s good way happen then we can move on. I love the Joseph story and how we, too, can believe that the hurt others intended for us can be used by God for good. Thank you for that reminder.